The Bronx Council on the Arts (BCA), the Community Development Project of the Legal Aid Society and the Harlem Arts Alliance present a FREE two-part Intellectual Property Workshop for artists, arts organizations & small businesses on Tuesday, December 6 & 13, 6:00-8:00pm, at the Dwyer Cultural Center located at 258 Saint Nicholas Avenue #2 at West 123rd Street in NYC. Doors open at 5:45pm. Program begins promptly at 6:00pm. Light refreshments will be served. Admission is free and all are welcome. December 6th’s session: You Made It Now Protect It: Trademarks and Copyright for Artists, Arts-Related Nonprofits and Small Businesses is geared for artists and cultural organizations, creating or commissioning a work of fine or practical art is just the beginning. To protect the ownership of the finished work, it is essential to learn about trademarks, copyrights, design patents, and work-for-hire agreements. An expert panel of intellectual property attorneys will explain these concepts using examples that will be familiar to artists and arts organizations. The concepts learned in this workshop will also be useful to nonprofits and small businesses that are not arts-related. Both workshops will be facilitated by attorneys from Fitzpatrick, Cella, Harper and Scinto and the Community Development Project of the Legal Aid Society. For additional information on this workshop or other events presented by the Bronx Council on the Arts, call 718-931-9500, e-mail info, or visit BCA’s web pages at www.bronxarts.org. Judge lectures Harlem families to take responsibility as he sentenced Drug Dealers. Did he go to far? Was he right on point? 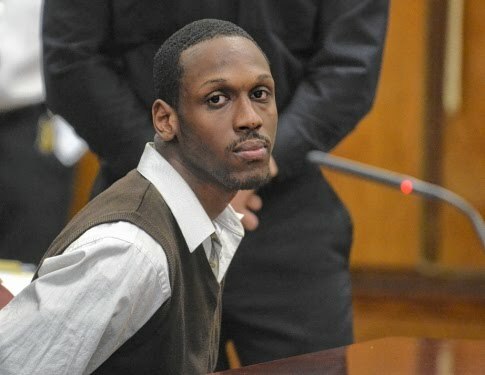 Was Supreme Court Justice Edward McLaughlin calling a spade a spade, or did he go way too far as he urged parental responsibility at the sentencing of five violent Harlem drug dealers, including Jaquan Layne who is seen below. This is regarding the so called 137th Street Crew. The gang was charged with drug, gun, and conspiracy crimes in Harlem. The name may sound familiar. It’s the same gang that recruited teens, including one time preppy school student Afrika Owes. She was just 15 years old when she carried guns for her then boyfriend, the leader of the group. “Gun violence in Harlem is the responsibility of that community.” Judge McLaughlin said as he sent the 21-year-old leader of the W. 137th St. gang, Jaquan “Jay Cash” Layne“ away for 20 years to life. I ask you Is it fair to paint the entire community with a broad brush? Or is this the type of tough love that the Harlem’s of America need? “If you do nothing, you are complicit.” The Judge said. He urged families to do more to turn their kids from crime. “If your relative is not doing homework, if you are not going to their school and talking with their teachers, then you contribute to your child’s and your community’s destruction,” the judge said. There is “no gun genie” delivering weapons to kids, the judge continued. The judge’s words seemed to shock the families of the five gang members as they sat in the courtroom gallery waiting for their sons to be sentenced. Several family members dismissed the judge’s words as racist. “I can’t do this,” Layne’s sobbing grandmother said as she left court – mascara streaking her cheeks. “With all these kids being sentence like this. I think he’s prejudice,” said the woman who would not give her name. A second of her grandsons, Jahlyl Layne, 18, was sentenced to at least 7 ½ years behind bars and up to 23 ½ years. Was the judge telling the truth? Or was he looking down at poor African American families? Would he lecture another community like this? But, are other groups killing themselves in the numbers that African Americans are? Was the judge doing the black community a favor? Does his comments perhaps reveal a contempt on his part that has been there for years? Would you want this judge hearing other cases involving African Americans or did he simply do the right thing speaking out this time? These are some serious questions to think about. Residents of one building in Harlem have been without gas since August, leaving them particularly worried as the holidays approach. Nationwide (BlackNews.com) — New website, MyAmazinRoots.com, features fine art images of ancient Africa. The images debunk the stereotypical and racist views of Africa as a dark continent by showcasing Africa’s Ancient History through fine art. The various paintings, drawing and illustrations have all been meticulously restored and enhanced over the past few years. Much of it has never been seen by most present day Africans and African Americans – yet Africa’s fine art and depictions of Africans in fine art has occupied space in some of the world’s most prominent museums abroad for centuries. The owners of the web site describe their work as the result of the collaborative efforts of research and graphic art, but stress that it was born out of a prayer – A prayer for our children, a fervent prayer for all the ills that plague far too many of them. From the toxic effects of drug and gun infested communities, to the crumbling schools of low expectations to lead poisoning, the unprecedented phenomenon of black on black crime and homicide, and the prison industrial complex. Their looming concerns that the gains of the civil rights movement were being derailed with many of our youths lost and dying, with seemingly no public outrage and indignation. The web site’s objective is to vividly portray to Africans and the world, the truth of who they are – from the progenitor of humanity itself as the world’s true Adam and Eve to the progenitor of the world’s advanced civilizations. And it accomplishes that with vivid fine art depictions of Ancient African Kingdoms, Empires and Civilizations. It is often said that a picture is worth a thousand words. However, they also have a featured video and an accompanying fine art book. A portion of all sales will benefit HBCUs. Craisin Crisis! Dried Fruit Recalled Due To "Hair-Like Metal Fragments"
President Obama has said that one quality he prizes highly in his judicial appointments is empathy. Kwame Nkrumah was the first President of the first free nation in Africa, and a founding father of the Pan-Africanist movement. This Nov. 21, 2011 photo shows a view from the podium inside the African Meeting House in Boston. In this Nov. 1, 2011 photo, a visitor to the Carnegie Museum of Art views an exhibit of work by Pittsburgh photographer Charles “Teenie” Harris at the Carnegie Museum of Art in Pittsburgh. The 2008 election was a reminder of the demographic forces that are changing America and potentially the political balance in the country. Occupy Wall Street might seem like a movement that would resonate with black Americans.